If you thought the art of hand-lettering was difficult, then you're going to find display lettering the trickiest thing in the world to get right. 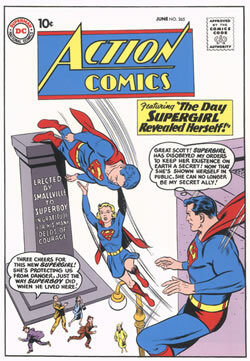 In the late 1950s and 1960s, DC Comics ruled as far as lettering went. But by about 1963, the two mainstay letterers at Marvel Comics were coming into their own. Their profiles boosted by Stan Lee's gentle ribbing in the comics' credits, Artie Simek and Sam Rosen became almost as well-known as the artists. It's probably fair to say that some of today's letterers would even be in the field if it hadn't been for Lee's raising the readership's awareness of all aspects of the process of creating comics, right down to the letters and colourists. 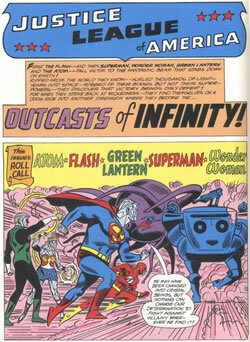 Artie Simek had been a staff letterer at Timely in the 1940s and later lettered both Fantastic Four 1 and Amazing Fantasy 15. 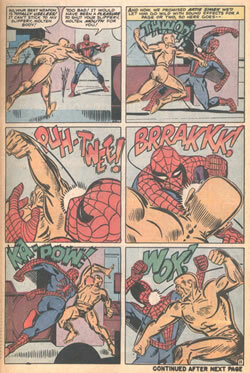 Despite Stan's occasional mocking, Simek was sometimes allowed to letter an entire page of sound effects, like this.